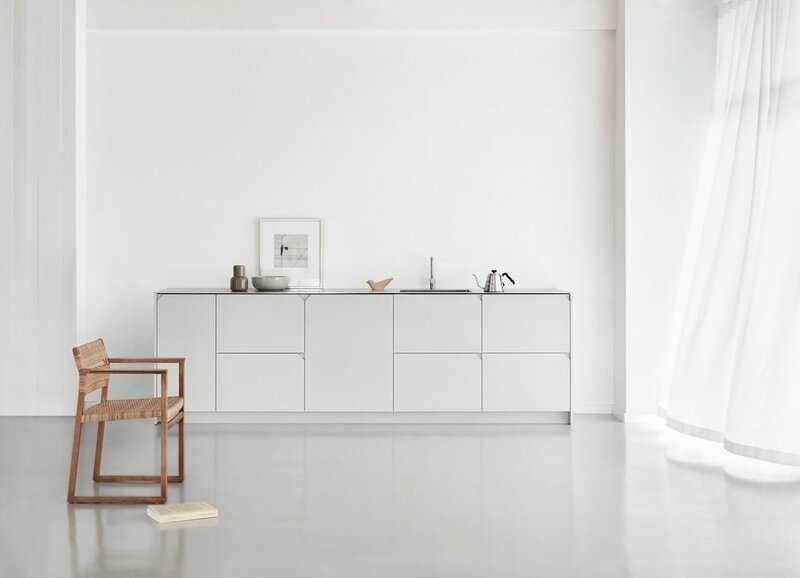 The new kitchen system designed by Copenhagen-based designer Cecilie Manz for Reform. 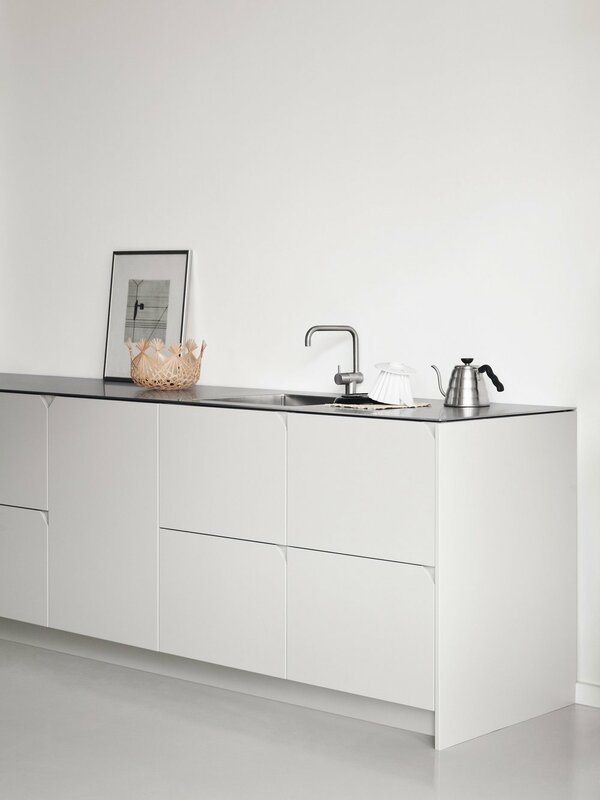 The Degree is a minimalist kitchen based on the simplest of design principles; balance, functionality and hospitality. 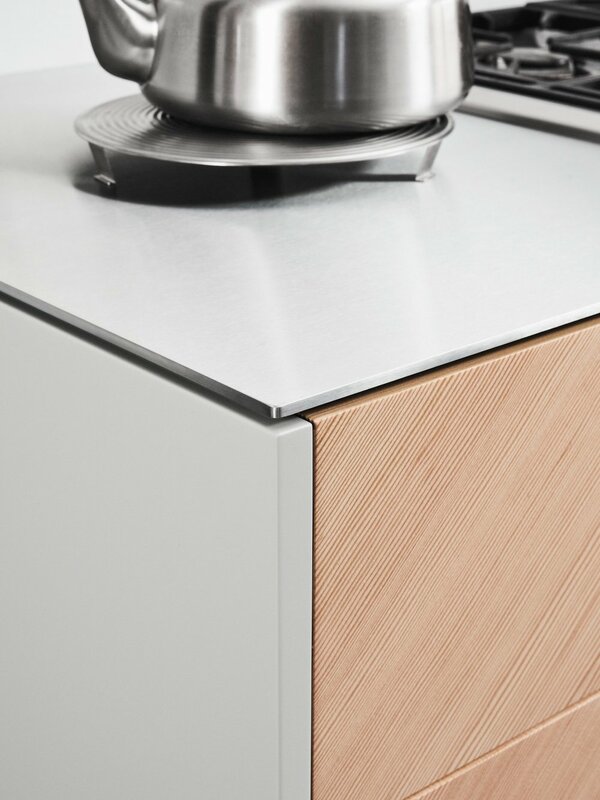 These three principles are the essence of this new kitchen system that includes a steel countertop that offers a drop of coolness to the warm kitchen cabinet doors. The wood grain is a golden Oregon Pine and has been laid at a 45-degree angle that works in tandem with the horizontal and vertical lines of the cabinet. What I really like is the way they have designed in the notched handle in to the corner of the door panels.